Bertrand Piccard is embarking on his most challenging quest yet to push the edges of aviation technology while exploring the nature of the pioneering spirit. Icarus, DaVinci, the Wright brothers, Amelia Earhart, Beryl Markam, Neil Armstrong are all monumental figures in the human quest to fly. Now Piccard, doctor, psychiatrist and aeronaut and co-pilot Andre Borschberg, engineer and aviator are planning on flying around the world in a solar powered plane, Solar Impulse. We should never forget that aviation was born in America. The Americans were the first on the moon. This gave a lot of hope for humankind. It changed the world. It changed the idea of what could be possible or impossible. What makes Piccard different today? What is left to challenge the spirit of mankind? Now, of course, we see that the planet has been conquered, explored. Human beings are everywhere. What is left for the 21st century? We can ask ourselves, what is left for the pioneering spirit? Not to go back to the moon. Lots of new things we can do. Reduce poverty, promote human rights, medical research, sustainability, new technologies to save natural resources of our world, renewable energies and so on. and, that is where we must remember, nothing is impossible. Piccard, of a family of legendary explorers, along with Borschberg, co-founder and CEO of Solar Impulse are preparing to fly around the world in 2015 in the newly designed solar powered plane, which can fly non-stop, exclusively with solar energy. Just 14 years ago, Piccard and his co-pilot Brian Jones successfully flew around the world in a balloon. Piccard becomes electric when he describes his observations of the differences between flying a balloon and this next mission to fly with solar energy. The balloon has limits, he shares, while the solar powered plane has unlimited potential, especially in the area of the multiple applications of developing technology. Yet, all frontiers challenge the human spirit to confront fears, illusions of failure, even the potential risk of death. Out of common assumptions, human being suffer in life. Prisoners of old ways of thinking. But as soon as you have a pioneering spirit, you can develop new behaviors, new ways of thinking, not just new ideas – because new ideas are easy, but, new ways to implement new ideas to make the change. Maybe the most difficult thing that has to be solved with pioneering spirit is the conflict between the short term and the long term. Every person whether a bureaucrat in a government office, a large corporation, a nonprofit can bring this pioneering or in business entrepreneurial spirit to policy making, better business practices and ultimately, better global relations. We all need the short term, feed our children, get a salary, give jobs, to have the economy growing. But the cost is that we are depleting the natural resources of our world, changing the climate and destroying nature with pollution. We need long term to protect the future of our world. But that it is not the long term that is feeding us, giving jobs, and bringing the money to live and this is probably the biggest paradox we have now in the world – we can destroy the world of tomorrow to make today a better moment. what I would like to show with Solar Impulse is that we can reconcile the two. Science, technology, bold views for a better world are motivating the team of Solar Impulse. The new technology being designed to develop this solar powered plane can and will offer alternatives to global leaders, businesses and individuals who want to leap into the future of what is possible. Imagine just to create this aircraft the wingspan of size of a Boeing 747 yet the weight of a small car, these new technologies are obviously reducing the carbon fuel needs plus so much more – the solar cells are as ‘thin as hair’, highly effective insulation, lower oxidation batteries, fabric designs to better insulate the body, low-bandwith to send live video, LED lighting, nutrition science for pre, during and after flight for the pilots and life science how to support the pilots for the duration of the flight. These products being invented today are light, portable and energy efficient. What does it mean for tomorrow? If all of these technologies were in use everywhere in the world on a global scale we could divide in two the energy consumption of the world and produce half of our needs with renewable sources. At the same time, it would create jobs and it would solve a big part of unemployment and the economical crisis in the world because the industry would be able to bring new products to the market. Products that the world needs needs to be energy efficient and environmentally friendly. Pioneering spirit – we can all develop to take advantage of the long term and the short term together. This is what can make the real greatest adventure of the 21st century. It is the greatest because it will be useful and we can all make it together. Will people follow visionaries, inventors, explorers advancing science while conquering a new frontier on earth? Perhaps the greatest adventure ahead in the 21st century is igniting the pioneering spirit within everyone and eagerly embracing new ideas, new innovations with a global impact. Tags: adventurer, Amelia Earhart, August Piccard, aviation, Bertrand Piccard, Beryl Markham, Brian Jones, explorer, Icarus, Jacques Piccard, Neil Armstrong, pioneering spirit, Solar Impulse, solar powered plane, Wright brothers. Bookmark the permalink. Enlightening, inspiring and encouraging post, Keri! 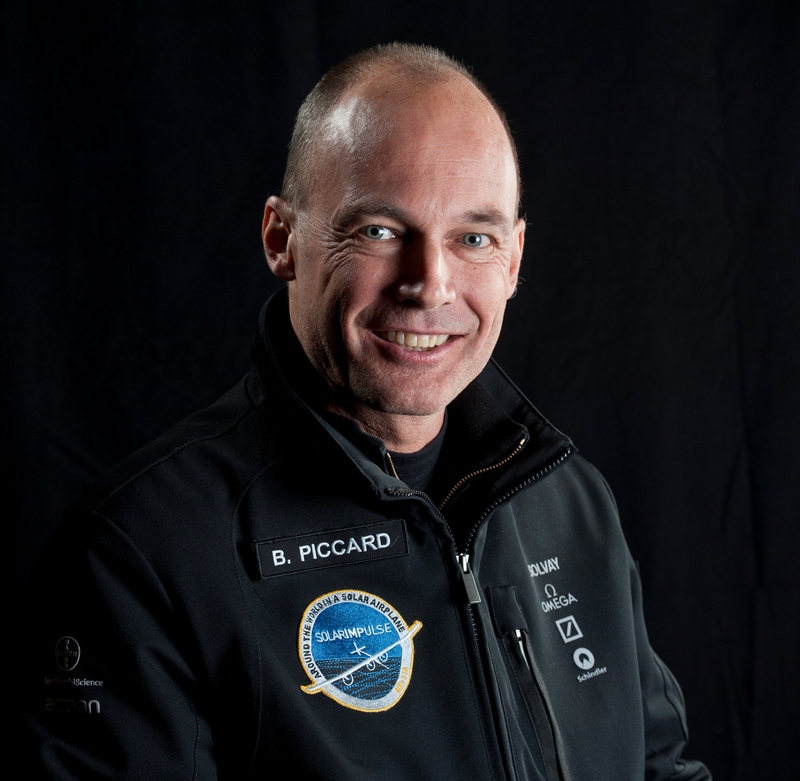 What an amazing, revolutionary spirit is Bertrand Piccard. What an awesome aspiration and pursued intent that could make it possible to take the whole world to new frontiers in ways that will bring much needed changes to individual life and to our planet Earth, before it is too late! Thank you for always inspiring me and giving me reasons to trust that a better world is in the making. .
Betrand Piccard is a brilliant spirit! Learned so much from him when he first flew around the world in a balloon with Brian Jones of the UK. Incredible human being. Katina, thank you so much for reading and sharing! The pleasure is mine, Keri! You do such a great job of sharing worthy subjects and people!